셔츠와 넥타이 디자인을 안드로이드 앱에서 보실 수 있습니다. 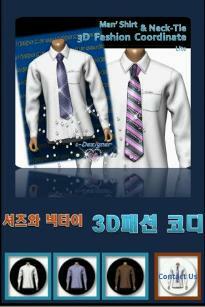 :This Application is to coordinate a Manshirt and Necktie. 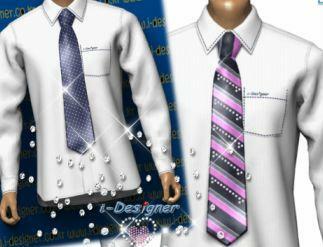 These 3D Designs are made by i-Designer S/W (Professional Version). i-Designer S/W simulates 3D image of dress on a body using the paper pattern data, mechanical properties and color pattern.